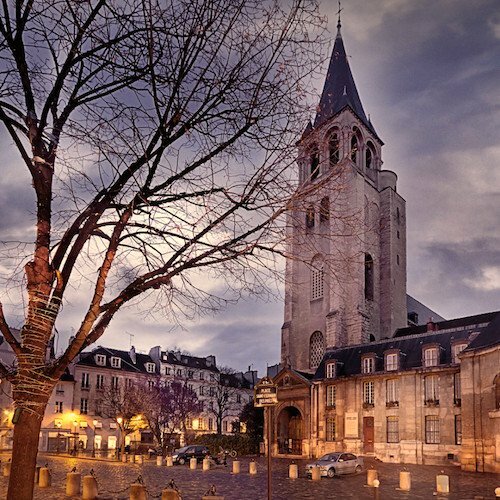 Odds are you haven't paid much attention to this big arrondissement to the east, the mighty 12 Arrondissement in Paris. 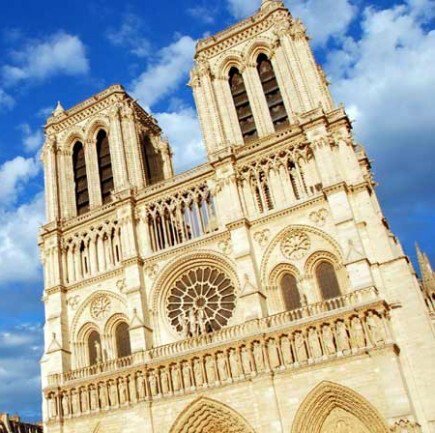 But, once you delve into it, you realize it's easy to spend days taking in the splendour of this piece of Paris that extends from the extreme eastern city limits and includes Gare de Lyon, the thriving Bercy neighborhood, and the very famous market street, Rue d'Aligre. The 12th is home to plenty of monuments and hidden treasures. 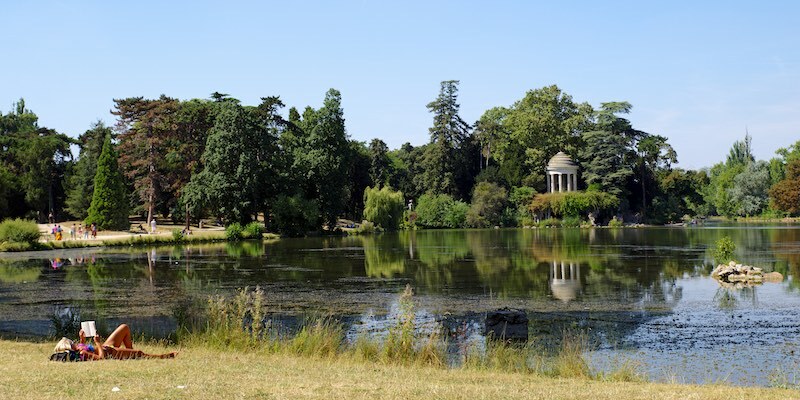 Bois de Vincennes is the biggest park in Paris, with dreamy romantic lakes and a giant zoo. At Place de la Bastille you finds one of Europe's supreme opera houses. 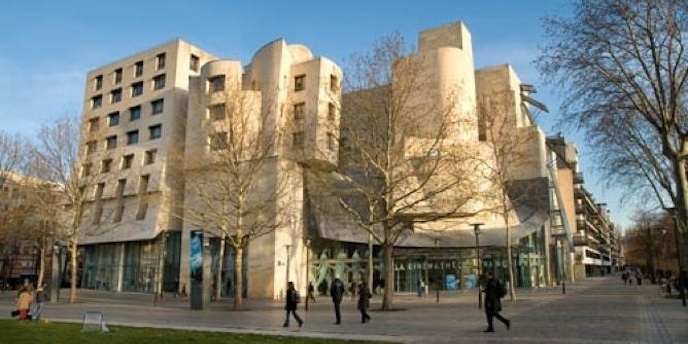 Lively museums are found in Bercy and Porte Dorée. Le Train Bleu is a Belle Epoque historic restaurant you won't want to miss. Here are a dozen good reasons to explore the 12th Arrondissement of Paris. The famous opera house was built to commemorate the 200th anniversary of the French Revolution in 1989. 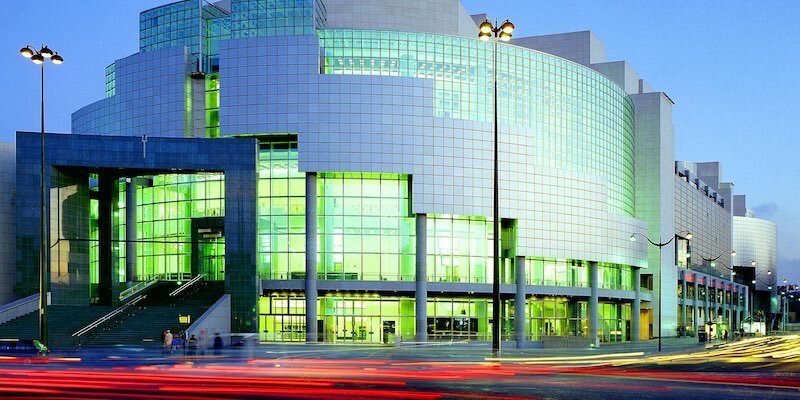 Located on Place de la Bastille, the modernistic opera house can accommodate thousands of happy opera-goers. Before or after the show wander to one of the many cafes and restaurants in the area, or head directly to the nearby Marais neighborhood. Together, old and new happily coexist in Paris. Bercy, a quartier in the 12th Arrondissement, is a former warehouse area once famous for wine storage. In recent years there's been a renaissance in culture and commerce. 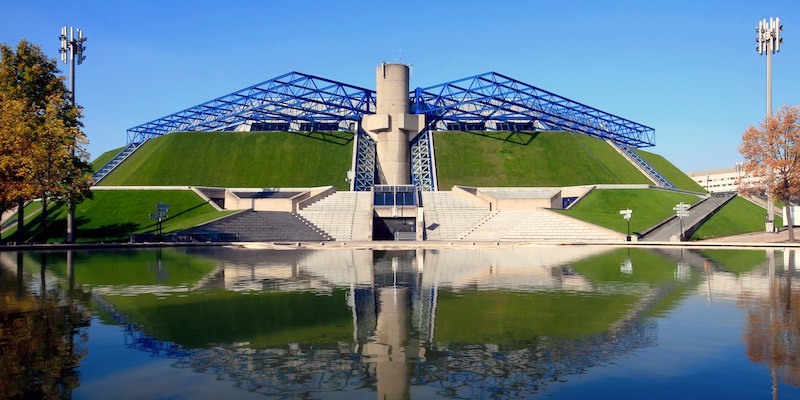 Don't miss the linear, modern and pleasing Parc de Bercy. 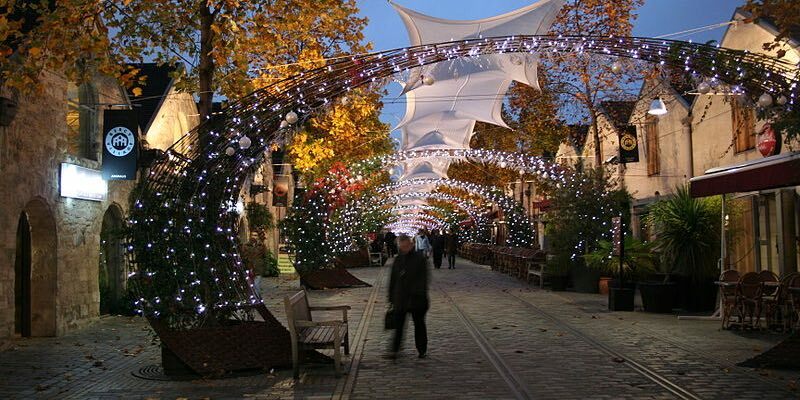 Bercy Village is home to many French brands including Fragonard Perfumes, Eric Kayser, FNAC, and Oliviers et Co. Bonus — Bercy station is on the ultra-cool Metro Line 14, where the trains have no drivers! 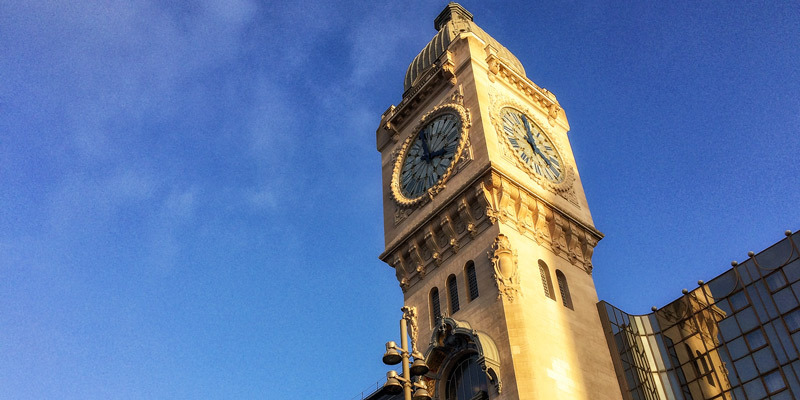 Built for the World Exposition of 1900, the Gare de Lyon is considered a classic example of Belle Époque architecture. You may notice that the large exterior clock tower bears a striking resemblance to London's Big Ben. The high-speed TGV train station serves routes to southern and eastern France, as well as Switzerland, Germany, Italy and Spain. It's also a hub for regional trains, an RER line, and the Gare de Lyon Metro station. Even if you're not leaving Paris (or arriving), it's worth a trip to dine at Le Train Bleu restaurant, a designated historic monument. It debuted in 1901 and has recently undergone a complete renovation to restore it to its former glory. Marché d'Aligre is three markets in one. It's a market street filled with stores like boulangeries, cheesemongers, fish sellers. Aligre also features a daily street market with booths filling the rue in front of the stores. 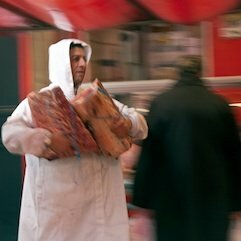 But Aligre holds one more secret — one of the few remaining covered markets in Paris, with specialty butchers and other delicious food stalls. Trust us, this is must-see (and must-shop) if you're interested in food. There's a vast selection from sausages to shoes, cheeses to poultry, even roasted pig on a spit. 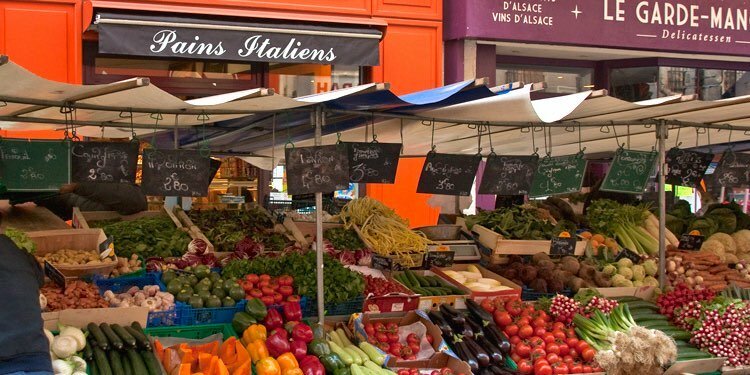 Marché d'Aligre is located on Rue d'Aligre, east of Bastille, between Rue du Faubourg Saint-Antoine and Rue de Charenton. This tree-lined walkway follows an abandoned railway line. 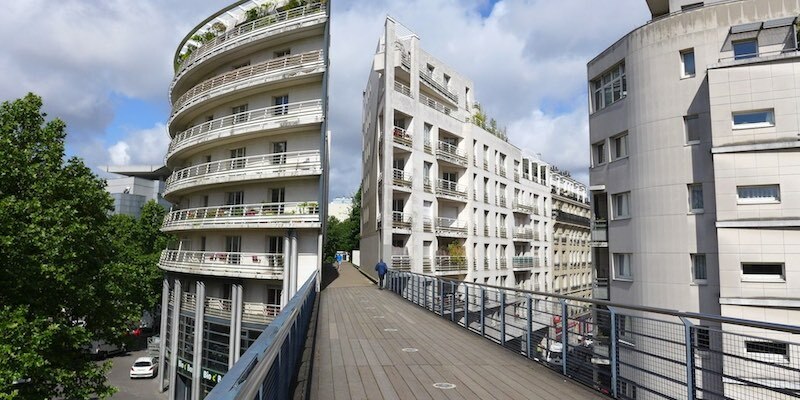 Starting just behind Opera Bastille, it rises 30 feet above ground to afford a great view. Beneath its arches are stores and workshops filled with impressive arts and crafts in a shopping strip called Viaduc des Arts. Over the past few years pedestrian bridges have been built above parkland, plantings and arbors have been added along the path, even buildings have "sprouted" on either side of the promenade. From Bastille walk south on Rue de Lyon, turn left on Avenue Daumesnil and you'll find stairs climbing up to the walkway. 2,500 acres of parkland make Bois de Vincennes the largest public park in Paris. To give this some perspective, it's three times larger that NYC's Central Park. Thanks to the initiative of Emperor Napoleon III (in the mid 19th century), it's an important hub of leisure activities, with a recently refurbished zoo, four lakes, a botanical garden, a horse-racing track, a bicycle velodrome, and last but not least, a 14th-century castle — Chateau de Vincennes. Also found in the Bois de Vincennes is the Parc Floral de Paris, one of four botanical gardens in Paris, and the Jardin Tropical de Paris. And you don't want to miss the Temple of Love on Lac Daumesnil. What better place than Paris for that temple! At the lower end of Canal Saint-Martin (between the Place de la Bastille and the Seine, where the canal comes up from underground) is Bassin de l'Arsenal, built on order of… anyone, anyone? — Napoleon Bonaparte, once again. Since it links to the Seine it's used as a harbor for yachts and excursion boats. 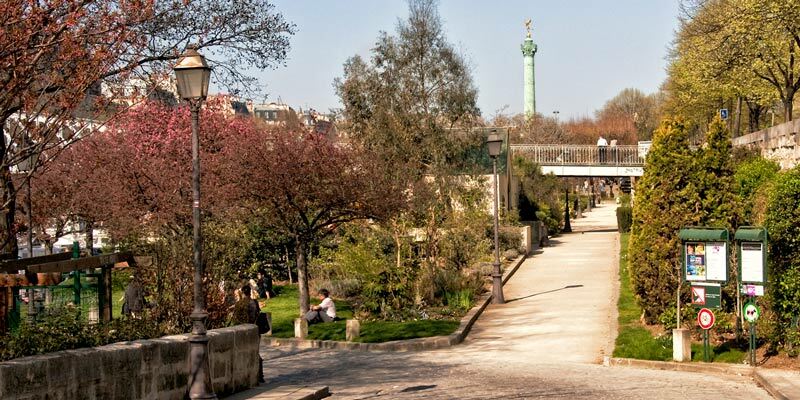 In 1983, the City of Paris developed the east bank of the Arsenal into a very pleasant garden park, promenade, and lively green space. Le Grand Blue restaurant, located on the banks of the jardin, has lovely terrance seating, perfect for sunny spring days. Cimetière de Picpus is the largest private cemetery in Paris. It was created from land seized from the church during the French Revolution. Just minutes away, at Place de la Nation, a guillotine was set up and kept very busy — the cemetery's 1,306 victims were executed between June 14 and July 27, 1794. Only the descendants of the original victims are eligible to be buried here. Here you can visit the tomb of Marquis de Lafayette (1757 to 1834), where an American flag always flies (thanks to the local chapter of the Daughters of the American Revolution). Although Lafayette died of natural causes, his sister-in-law and mother-in-law were beheaded during the Reign of Terror. In case you've forgotten your French & American history, Lafayette was a French aristocrat who fought in the American Revolutionary War. His close friends were Thomas Jefferson, Alexandre Hamilton, and George Washington. 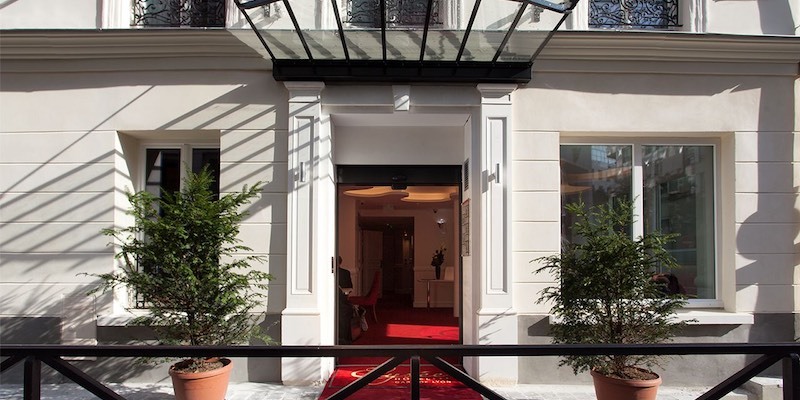 The entrance is at 35 Rue de Picpus in the 12th Arrondissement. Visiting hours are limited to afternoons and there is a small admission fee. It's a palace, it's a museum, it's an aquarium all rolled into one. Originally built for the Paris Colonial Exposition of 1931, the Palais de la Porte Dorée now houses the History of Immigration Museum as well as a tropical aquarium. Both are open to the public. 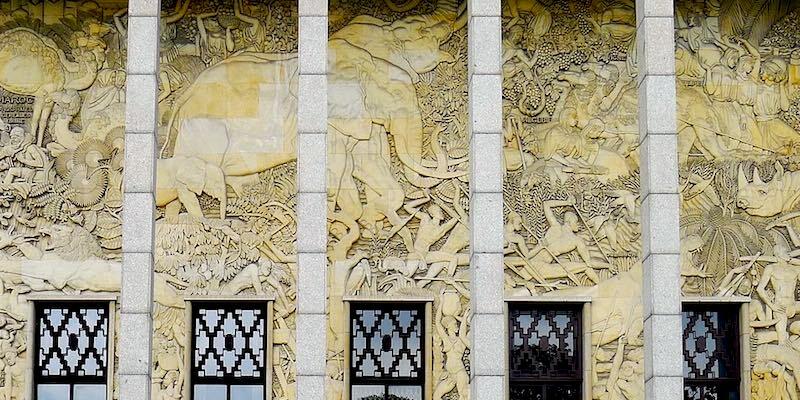 Come to see the fish, the architectural details of the palais, and the intricate bas-reliefs on the exterior that portray scenes from man and nature, complete with antelopes, elephants, and zebras. The Dorée Tropical Aquarium features 5,000 creatures in an array of tanks. Its official name is AccorHotels Arena (catchy, isn't it?). This large indoor sports arena and concert hall has a distinctive pyramid shape, and its exterior walls are covered with a sloping lawn. This is the venue where all the big concerts and sports events take place — like Bruno Mars and Ariana Grande (not on the same bill!). We saw Vanessa Paradis here. It's fairly easy to get to and from the arena from elsewhere in Paris since Metro Bercy is right there, where you can catch Line 6 and Line 14. Bon vivant and antique collector Jean Paul Favand has filled a museum with his amazing collection, dating from 1850 to 1950 and including restored carousels, retro fair stalls, and hundred-year-old bicycles. Watch an Italian opera performed by automata in a Venetian setting or go for a ride on a gondola merry-go-round in the Venetian Lounges. At the Theatre of Marvels visit the 1900 Paris Exposition Universelle, a computer-controlled orchestra, while a dozen projectors show highlights of the attractions. The Fairground Art Museum is a tribute to the 19th-century funfair. 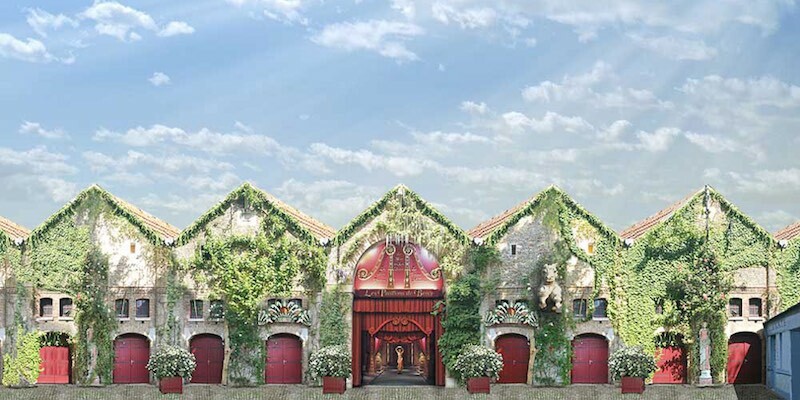 It's all part of what's called Les Pavilions de Bercy, set in four or five former wine warehouses. The museum is open to the public by reservation only and seems to be used mostly to host special and corporate events. The Museum of Cinema celebrates the French love of film with thousands of posters, drawings, photos and films. The museum was designed by the celebrated architect Frank Gehry. The 12th arrondissement is enormous, stretching east from Place de la Bastille to the perimeter of Paris and way out to the limits of Bois de Vincennes. 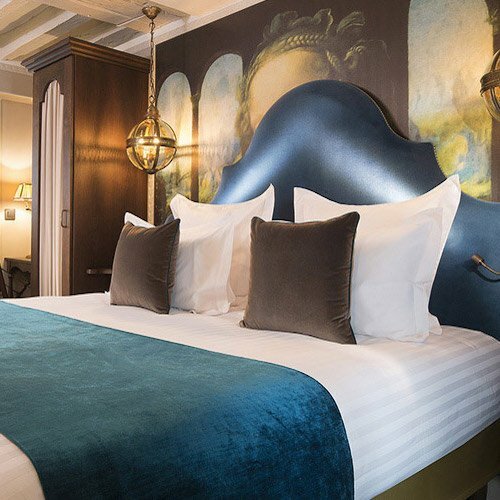 You probably don't want to stay too far away from the center of things in Paris, which is why we like this handful of hotels that are located near to Gare de Lyons (and its Metro connection) or to the Marais. We peg them all at Highly Rated Plus or better. 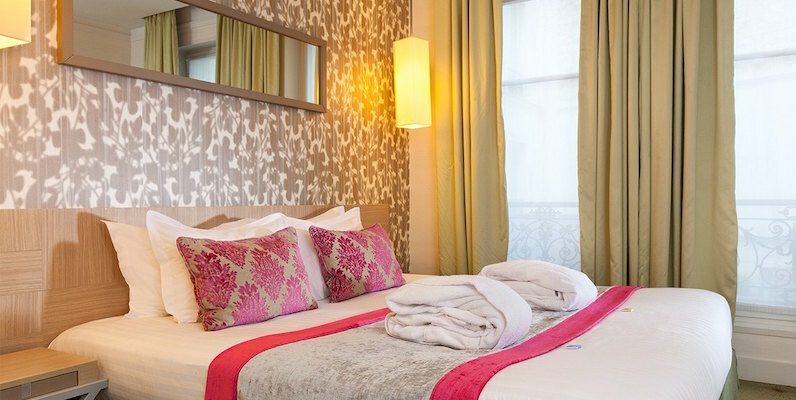 Due to a recent renovation, everything is sparkly and modern at the Marceau Bastille. The 55 rooms are themed "urban" or "green", as in eco-friendly. In a nice location partway between the bassin and the gare. Fresh, modern decor in a red and white theme. In a lovely building located, once again, partway between the bassin and the gare. Why the hotel includes "elysée" in its name is a marketing mystery, since the boulevard of that name is on the other side of Paris. 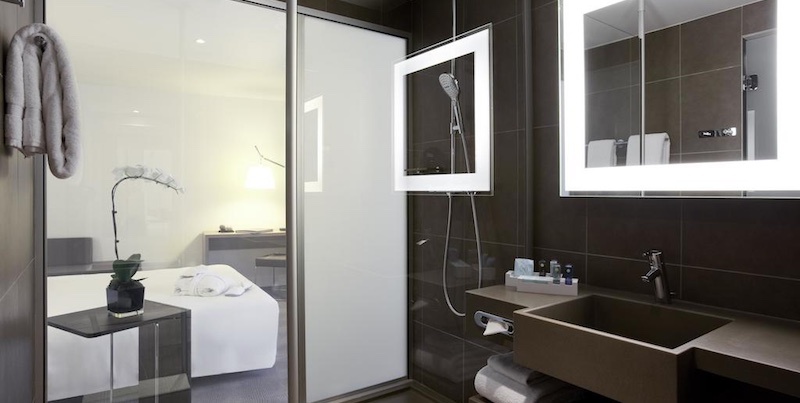 It's not that often that we recommend a Novotel hotel in Paris, but this one gets a high rating from guests and we like the location right next door to Gare de Lyon. It's big, and even has an underground parking garage. Service and rooms are quite good, sort of that corporate-friendly. 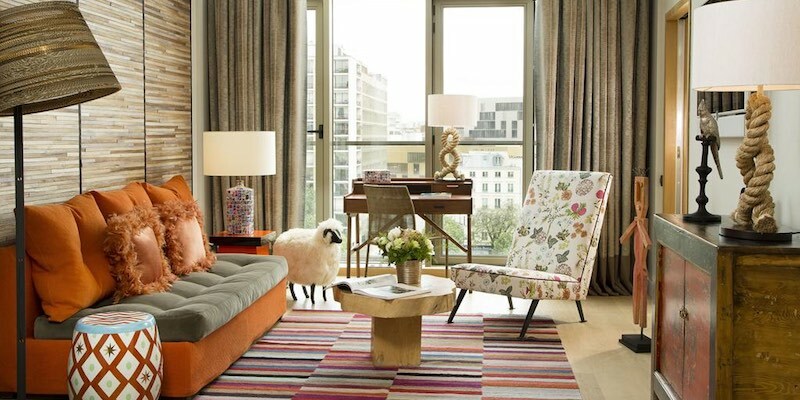 Though the Goralska is technically in the 4th Arrondissement, it is situated on the west bank of the Bassin de l'Arsenal and its rooms overlook the waterway. A "résidence" hotel means that the is made up of spacious suites. The hotel has garnered a very high approval rating from guests. It wasn't until 1929 that Bois de Vincennes was added to the 12th, increasing the size of the arrondissement threefold. 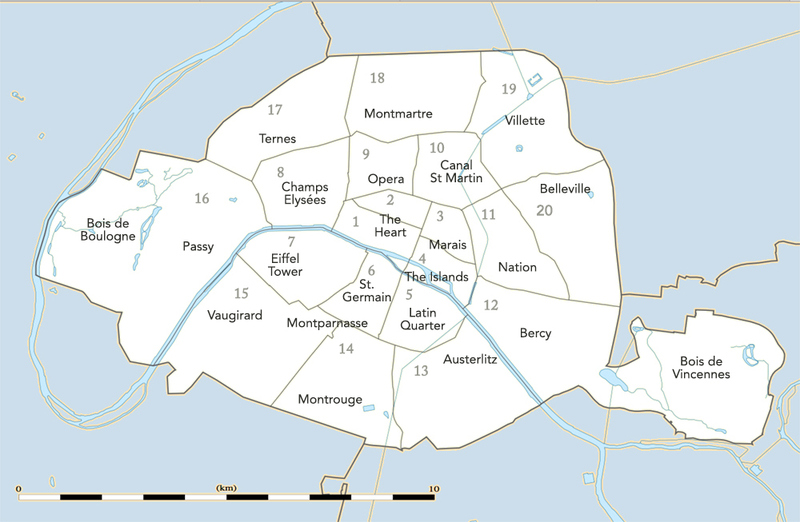 With the addition of the bois, the 12th is the largest arrondissement in Paris, beating out the 16th by just 5 acres. Metro Line 1 connects from Bastille to Gare de Lyon all the way out to Chateau de Vincennes. Metro Line 8 also traverses the 12th Arrondissement, right out to Porte Dorée. Then it takes a dogleg around the bois and heads out to the commune of Créteil, over seven miles from the center of Paris. Metro Line 2 slices through the 12th, running form Bercy to Nation. Metro Line 14, the newest and most modern line in Paris, gets you from Bercy all the way to Madeleine in something like 14 minutes.